Enrico Sangiuliano announcing the very first concept album of his career,the prolific Italian producer has been catapulted into the limelight after the runaway success of his past releases, and now Biomorph is born. Drumcode - DC190 - Track? !D. Drumcode has become a label synonymous with some of the most-cutting edge and forward-thinking techno over the last 20 years. 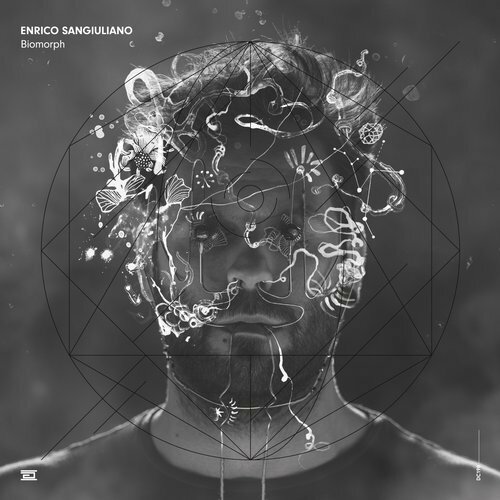 Their artists include both emerging and established names, and one of those well recognised is Enrico Sangiuliano. Now announcing the very first concept album of his career. The prolific Italian producer has been catapulted into the limelight after the runaway success of his past releases, and now Biomorph is born. A very special concept album designed to take the listener on a journey of evolution. A musical adaptation describing how biological and technological advances over numerous generations of time have all started from the same first step in our own biological journey. Divided into 4 parts, Organisms opens with atmospheric tones, gradually blending complex textures and timbres to begin the evolutional process. The beginning of this section combines full sounding arrangements before stripping it all back to basics. From here it dissolves into the atmosphere. Organisms then progresses into a break-beat influenced, down tempo track using synths to add complexity to the straight, broken rhythms. Galactic, futuristic elements are found in both tracks in Cosmic Forces. Upbeat, groovy, electronic synths resonate, before ‘Hidden T’ brings the tension to get things pumped up with stratospheric swirls and twirls to lay down one of the most mind meltingly deep drops. Metamorphosis is mysterious, its opening beat is a deep and piercing tone that sends the listener into a sensory awareness of their surroundings before breaking into a fully charged, techno track, with Enrico’s trademark sounds and textures. All evolution has an ending. Two Probabilities shows the positive, starting out evocative and emotional, with a gentle harmony, gazing towards a ‘New Dawn’. On the other side of the spectrum lies the negative. This is influenced with a rhythm that articulates the beat of death, mathematical, cold and metallic in texture, it shows the unsustainability of its nature, with a hectic, anxious break beat influenced ending.